﻿ North Bass Island State Park - Ohio. Find It Here. There are 593 acres of public land open on North Bass Island, with the park being headquartered on the south end. North Bass Island State Park is only open to primitive camping with a special permit. Additional activities include hiking, picnicking, kayaking, and wildlife watching. Fishing is also allowed along the shoreline. A Lake House that sleeps 12 is available for rentals.The island can be accessed by private boat, charter, or aircraft. 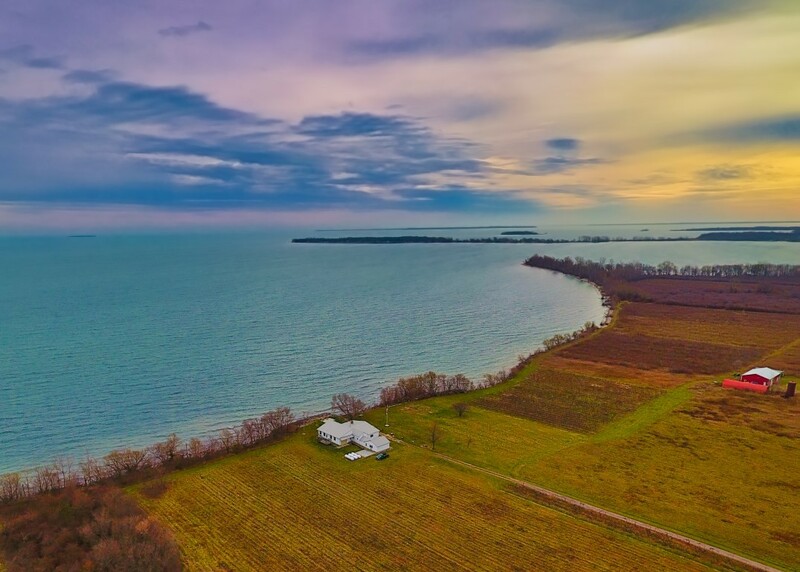 There is no scheduled ferry service to the island.North Bass Island, in the western basin of Lake Erie, was formed during the glacial period when massive ice sheets from Canada advanced into Ohio. Glaciers gouged and scoured the bedrock, and their tremendous weight left deep depressions which filled with meltwater as the climate warmed and the glaciers retreated, forming the Great Lakes. Evidence of the glaciers can still be seen in the islands dolomite bedrock as small scratches in the rock surface, known as glacial striations.